Many wars have been fought through time but awkward ones like the Pacific War, Stalingrad, and the Iran-Iraq Tanker War astonished the world. These wars which are known as oil wars took a lot of lives. The recent war that shook the world was the U.S. Wars in Iraq. The greediness of oil resulted in a loss of lots of lives. The money of the American citizens has been wasted for an oil war. From Hitler to Saddam, oil has often been a dangerous temptation. Every coin has two sides. On the other side of the globe, China is moving its eyes to the world of lithium. From the regional point of view, Chinese companies became firmly anchored to the Southern African countries and now quickly spreading to the north from Equator. This has led the other superpowers to look into this so called ‘white petroleum’. This is like a prophecy telling that the day when electric vehicles would become common is not far away. Indian government has placed its first step by slowly increasing the petroleum prices. Most people do not understand this. Now there are about one billion vehicles that run on fossil fuels. Man is not perfect, but he can try to be perfect. We cannot stop pollution but we can try. For this, everyone has to cooperate in a developing country like India. 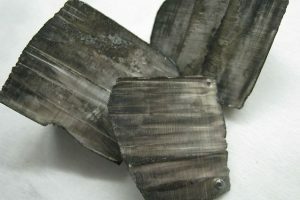 Hope developing countries will also look into tapping Lithium for future. Most countries in Africa are in development. These countries get most of their developing strength from organizations like the United Nations. Why are the other countries not helping Africa? We must remember that life started in Africa. Most nations are only ‘taking’ from Africa and not ‘giving’ it anything. When I say this, you might think what does this have in relation with the topic. Yes, this is related to the topic. Africa is rich with mineral resources and most companies have started conquering these mines in Africa both legally and illegally. These mineral resources are non-renewable and they should be conserved for our future generations. Africa is rich in lithium and most countries have taken over its mines. This makes electricity from Lithium ion batteries non-renewable. Everything has its own advantages and disadvantages. Our attempt is to reduce its disadvantages. Devanarayanan V is earning by writing this article. You can also earn by writing articles.